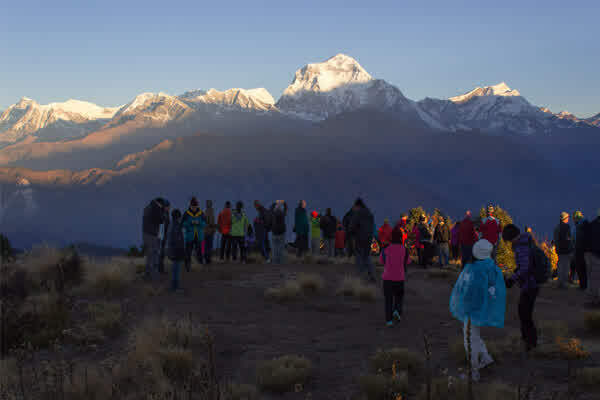 Round Annapurna with Tilicho Base Camp Trekking is the world’s most popular trekking destination on heart of Annapurna region. 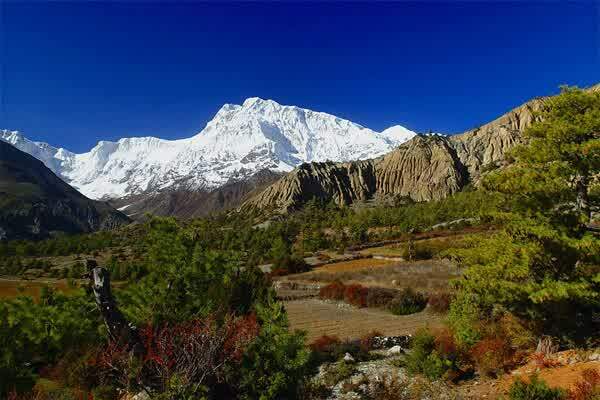 Tilicho Base camp with Annapurna circuit trek covers entire Annapurna ranges. Along the trail we see the beautiful lake Tilicho, which is situated at a high altitude in the world and cross world longest pass Thorang La Pass 5416 M. Which give you, your life time experience during Round Annapurna trek. 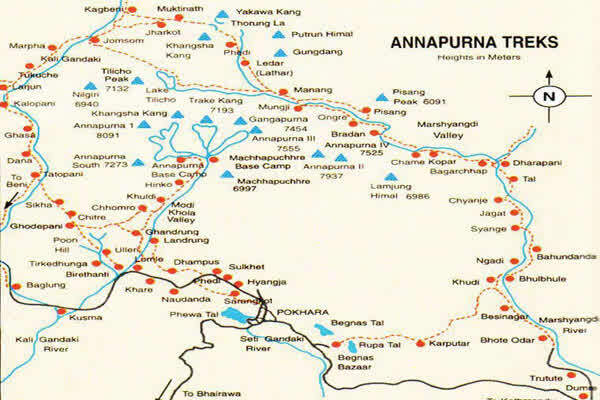 Annapurna region is located western part of Nepal. Tilicho Lake is one of the beautiful lake located on rock basin of beautiful Annapurna Himalayan range on altitude of 4950m. Tilicho Lake is forms by the melting of Annapurna glacial and snowcapped peak Thorang la. 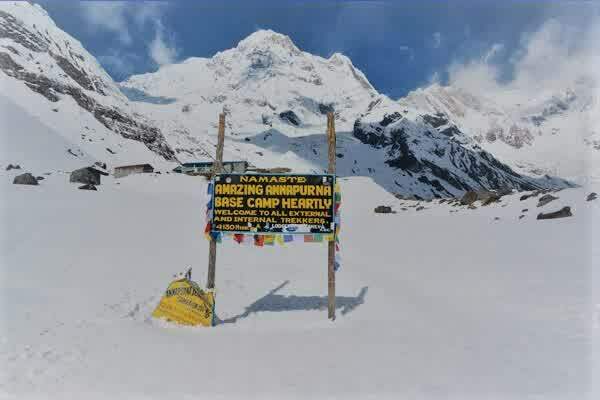 Tilicho base camp with Annapurna Round trekking trail is quite similar Annapurna Circuit Trek. The trekking trail is linked between different small beautiful villages, those villages were reach in traditional culture, ancient history, different kind of festivals like Grand Yartung , where there celebrate during the different occasion. House of the villages were well managed and decorated by typical domestic produce with the typical Nepal test. You have great chances to acknowledge varieties climatic condition in a short time duration (sub-tropical to alpine), flora and fauna, life style of local people, and an amazing ecosystem. Tilicho Base Camp with Round Annapurna Trekking is start from Besishahar 820m which is locates in Lamjung district of Nepal in western region. The trekking trail is following on the bank of Marshyangdi river valley. 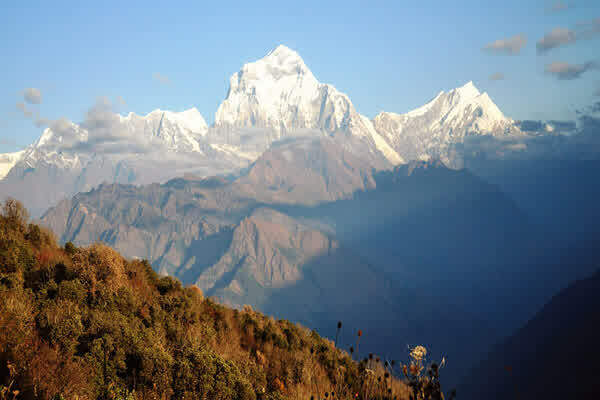 In the starting days of the trek see the scenic views of Manaslu and Himchuli in the eastern side. Then our trek continuous towards Tilicho base camp through the different small beautiful village like Jagat, Tal, Cahame, Upper Pisang, Manang, Khangsar, Yak Kharka, Mukatinath and many more. From Khangsar finally we reach at Tilicho Lake. After the lake we ascend towards Thornagla pass 5416m which is second longest and difficult pass in the world. Then we ascend down to the Muktinath by crossing the Thorangla Pass. Muktinath is one of the popular Holi sit for both Hindu and Buddhist regions people. Holy place Mukatinath was compared as dream of haven by the proper combination of unexpected nature beauties and the multi-cultural people. Mukatinath temple with 108 water spouts, Buddhist monasteries, rain shadow areas of Nepal, festival are the major attractions of Mukatinath. Tilicho Base Camp with Round Annapurna Trekking trail goes down by following kali Gandaki River then we reach at Jomsom. It is headquarter of Mustang District. Then we fly back to Pokhara from Jomsom. 02: Sightseeing at Kathmandu and pre trek preparation. Upon your arrival at the Tribhawn International airport, Kathmandu our representative from Alfresco Adventure Travel wait for you outside at Arrival gate with your Name card. Our team will welcome and collect your baggage at the airport. By formal introduction with the representative and transferred to your hotel. 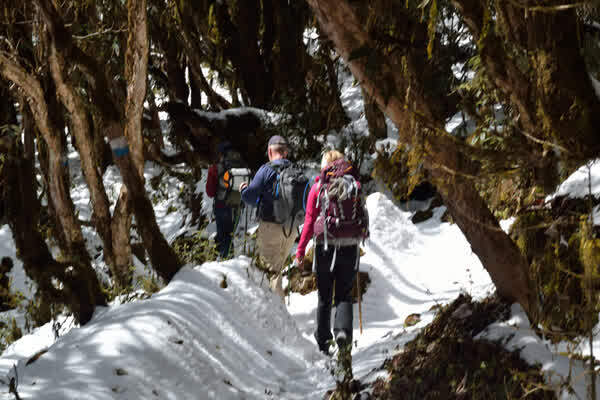 Our representative will brief on your arrival about the preparation of trekking have a short time gathering with your trekking guide and support staff. 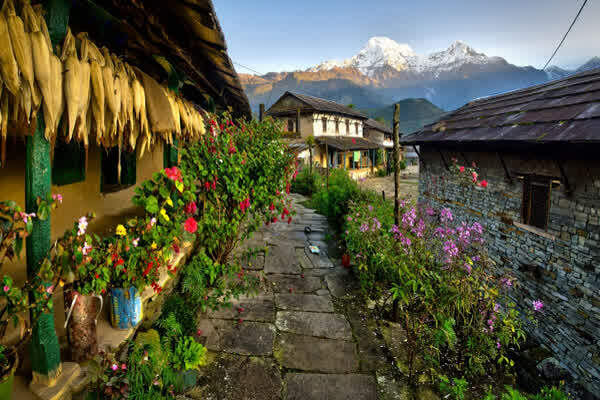 In the evening you will enjoy complimentary welcome dinner in a typical Nepali restaurant with Nepalese cuisine. Overnight at hotel. We start trek while taking breakfast at Bhaundanda then we descend to the Ghermu 1130m. Today also easy walk ascend towards the Chyamche 1385m. It takes approximately 5 hours to reach next destination. We enjoy observing a beautiful waterfall and overnight at Chyamche. After breakfast, our trekking is continue to ascend up to Tal village 1700m, which is located on the bank of Marsyangdi River. We take lunch at Tal village and the flat easy trail heading towards to Danaqyu. We cross Marsyangdi River through the suspension bridge hanging over the river. Around 4 hours of walking, we reach Dharapani. We stop at Dharapani for lunch and a short rest and then we continue our hiking to Danaqyu and Overnight at Danaqyu. Early morning breakfast at Pisang and began our foot journey towards Manang, it will take around 8/9 hrs. The trail is link between small beautiful village Ngawal and Ghyaru. The old houses and temple in the Ghyaru village make your tripe more enjoyable. 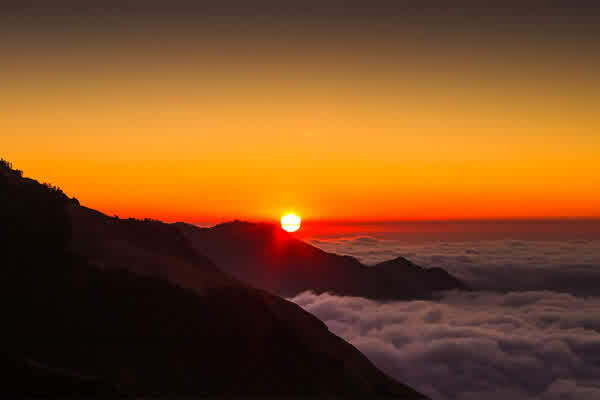 It offers scenic scenery of mountain and its surrounding landscape. In the mooring hike goes ahead through pine forest and within a short distant uphill we can see the 360 degree magic mountain views Mt. Annapurna II, III, Gangapurna, Chulu, ice Pasang, Tilicho peak. We reach at Humde valley it is only one of the higher valley of Annapurna circuit. The higher route is good for the both acclimation and for the pleasure of your eyes. It is interesting that is one of the longest main walls in the region consisting of 266 wheels, it passes through the heat of the village. There is a police station here and the checkpoint of your permit and there is other facility also provided here like safe drink water, health post and so on. Manang is famous for among all the trekker especially in the Annapurna round trek because of the well manage shops, gear store, health post, restaurant, internet facility on restaurant and many more. 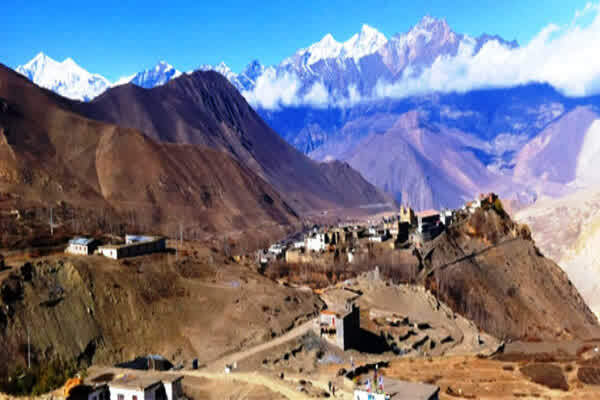 It is one of the oldest settlement of the Annapurna region and having one of the most attractive Gompa in all of the Annapurna round, the Bodzo Gompa is on the hilltop where the originally settlement of the used to be.it is a historical as well as religious site also. Manang is well known as the town of semi Tibetan culture you can see the Tibetan culture where it is still present at Manang. Manang is itself one of the attractive town with many other attraction. If you have a short hike to chhongkor view point and Praken Gompa from here you can see the 360 degree view of beautiful mountain range Chulu range, Annapurna II, IV, Pisang peak, Tilicho Himal, Gangapurna Mountain and including Gangapurna Lake and the glasier.